HIGHLANDER International Recycling have provided recycling services to Arjo Wiggins, since 2013 and have pioneered innovations such as solar-powered compactors and ‘smart’ auto alert compactors. The two companies have combined both technologies to install the world’s very first solar powered ‘smart’ compactor machine. Highlander installed a new solar powered ‘auto-alert’ compactor system, which alerts Highlander and Arjo staff whenever the compactor is three-quarter full and requires emptying. This means we only empty the compactor when required thus improving the cost-per-ton of each collection. The unit also provides electronic self-diagnosis meaning if any fault develops with the machine, you can log-in and pre-warn the engineers of the problem in advance, meaning the parts required can be taken with them, resulting in quicker machine repair times. 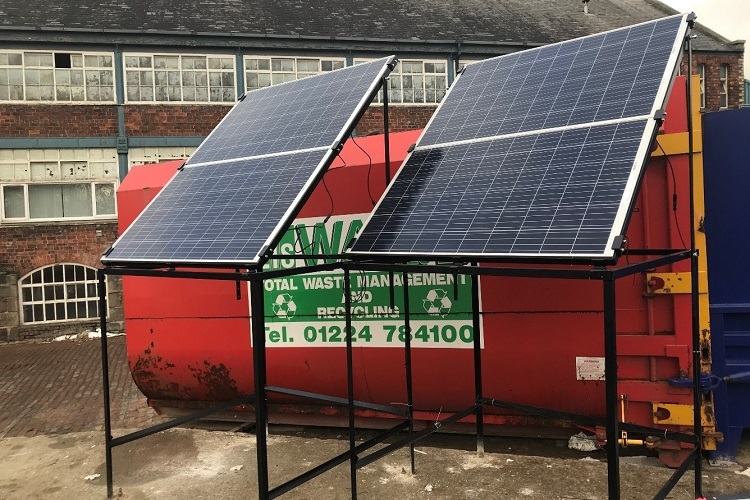 The machine location could not economically support a power supply being brought to it, so we used solar panels to ensure a ready-made, free and abundant power source without having to spend tens of thousands of pounds in cabling. The ‘auto-alert’ system in place for the new Arjo waste compactor, transmits an e-mail and / or text message to nominated operators (up to seven is possible) who can then take appropriate action. This alert system allows an interactive experience with the compactor machine, meaning improved operation efficiency, all-round. The machine came with a side tipper unit which is designed to accommodate wheeled bins from size 240 to 1100-litre meaning waste can be collected from different departments and brought to a central location for bin tipping and compaction, resulting in reduced transport and disposal costs. Highlander International are able to supply these compactors to businesses in Scotland at competitive weekly rental costs.